(it’ll probably help more if you shout the title out loud very in the style of Bruce Dickinson out of Iron Maiden. I used to know someone who used to get very drunk and go up to rockers in the street and pretty-much scream “Met-laaaaaar” in their faces just like that. 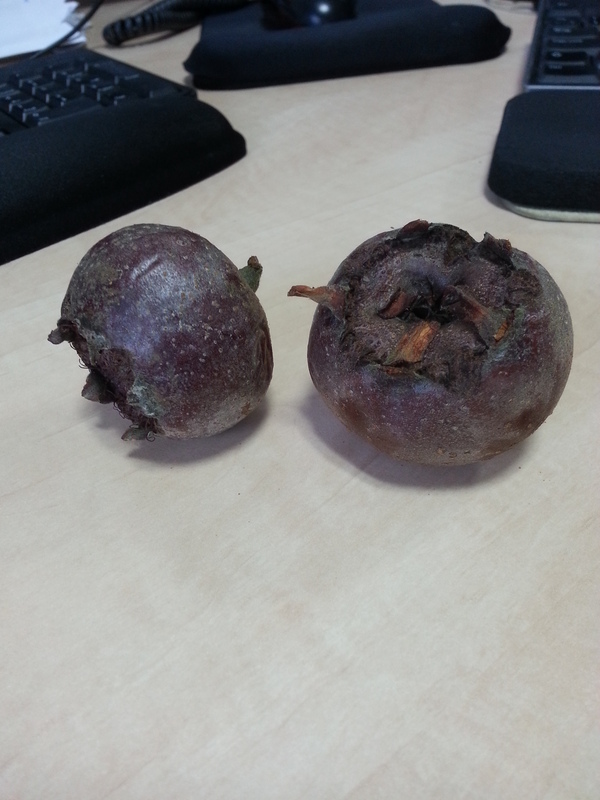 Medlars (Mespilus Germanica) are a strange sort of cross between a crab apple, and a rosehip. When they’re on the tree they’re as hard as iron and completely inedible. But if you leave them alone until about now (November) they start to breakdown – and there’s no easy way to say this – rot…well, rot and ferment. Slightly wrinkled, and yielding to the touch you simply have to slice them open to reveal the slightly unappetising looking innards. If you think that’s bad, you’ll be even more happy to learn that the French call them cul de chien (Dog’s arses) because if you look closely they do look a bit like dog’s ring-pieces. Despite the appearance, the rotting and the canine connotations, the aroma is actually pretty good and very complex: almonds, marzipan and sweet apple with dates and a slight peppery-lemon on the back edge. The mouth-feel is, well, an odd experience – largish stones/pips take up a fair bit of space in the two inch fruiting body, so you’ll need to work around them with a spoon. 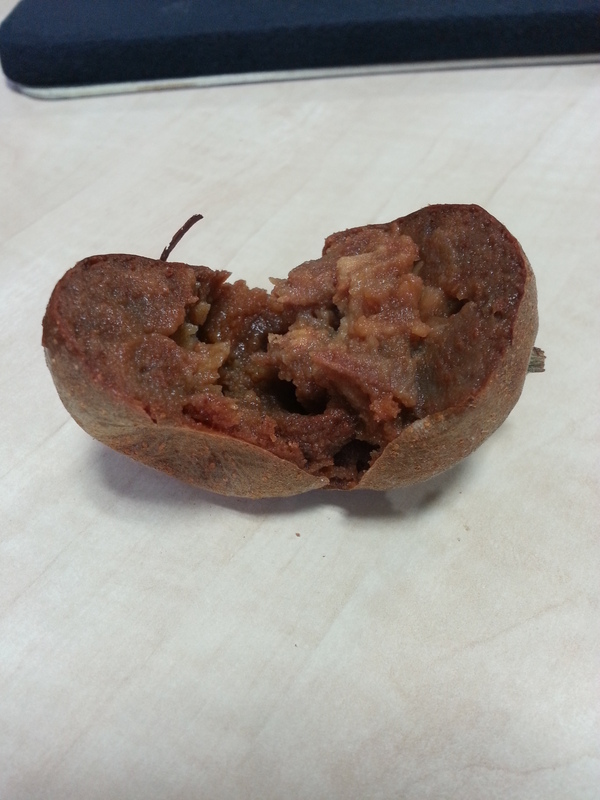 The flesh is soft and grainy – a bit like the brown bits you get in old apples. but the taste is the most surprising: apples, spiciness, dates and dried figs with a solid streak of citrussy lemon running through. There’s almost an apple pie and custard sort of theme to it, too. You can cook with them, but that seems like a lot of faff. Apparently they go especially well with wine. I think a nice Belgian beer like a Duvel or even a wheat beer would be even better. As mentioned above – the best way to eat them is to go at them with a spoon. Christmas is coming everyone, so look suitably afraid. Clutch dear your wallet, sanity and sense of perspective – it’s going to be a bumpy ride. Fortunately Adnams are here as ever with their seasonal range of salves and balms for our frayed nerves. Full disclosure: I tried Adnams Old Ale back at the start of October, but it’s still on tap now and the weather is absolute dog-muck so get stuck into the Old Ale whenever you can find it. 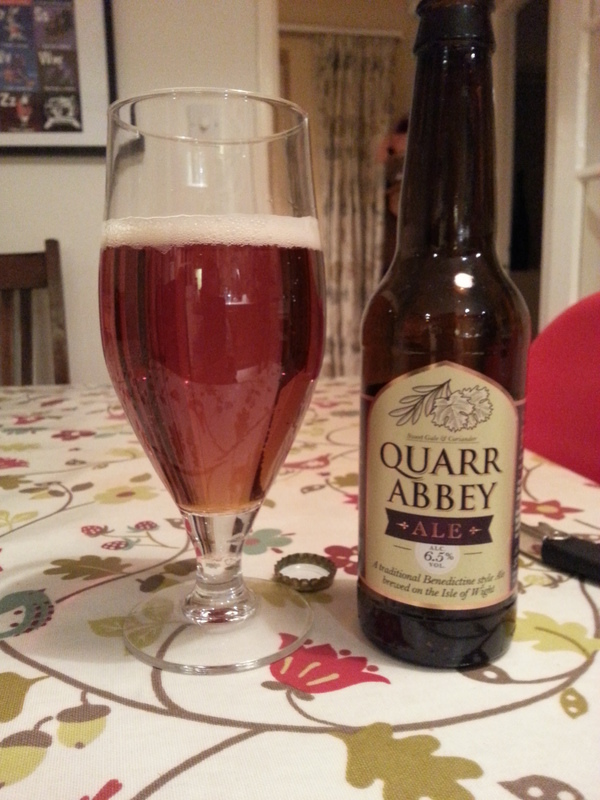 Not available in bottles*, Old Ale is indeed a lovely find when you come across it. Arriving a lovely dark mahogany brown with a tan head that lends an antiquey-vintage sort of air to it, it certainly looks like an “old” ale. Thud, a 25Kg sack of maltiness drops into your mouth and fills it admirably; fruit, wood and dry complexity washes in after – all happily rolled over and over by a stout and business-like carbonation. The after-taste of Old Ale seems to go on forever and just makes you want to drink it in quantity – which you can at 4.1%…hooray! 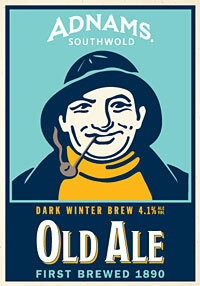 Old Ale goes so well with hearty roasted food…it really is just the perfect winter pint. 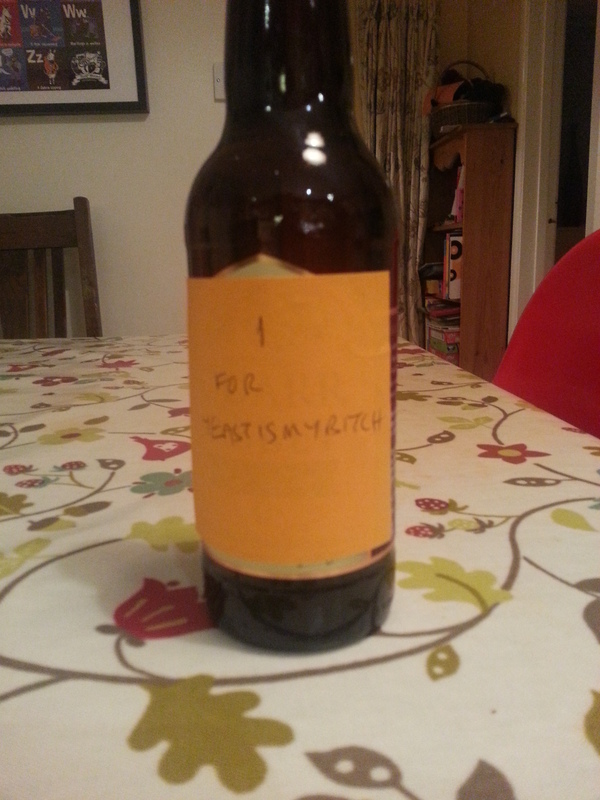 I received this beer via m’dear old friend Jim from one of this work colleagues – which is a lovely gesture and will be rewarded in heaven as well as with a bottle of something from me in return. I especially liked the simple dedication on the bottle too! Once the top was off of the bottle and it’s contents were in a glass I could see the lovely deep oaky-copper colour of this beer. A very light-tan head sat atop in quiet reverence. The aroma was very special: a delightful yeasty-fruity theme and an unconventional sweetness and some minerals and a hefty dose of malt. I had to look at the bottle to see if there were clues as to the extra sweet note – and it turns out to be that Sweet Gale (Myrica Gale or Bog Myrtle) is used as well as Coriander – so this was a gruit sort of ale? Lovely. Gruit is an ancient style of beer that’s bittered with other herbs and spices in place of (or sometimes alongside) the more traditional hops. The taste revealed itself after a somewhat merry carbonation to be sweetly malty, with accents of herbal bittering -rather than hops- and lots of spiciness and fruitiness; a good long streak of alcoholic warmth ran right through and helped to frame the whole thing up nicely. The after-taste was long-lasting and was all fruit and spice with a trailing edge of bitterness that curled itself around the edges of the tongue. This is a very, very nice ale indeed. You won’t dig it if you don’t like a sweeter beer – but I can see it being a very interesting accompaniment to a dessert. At -another- leaving do for one of my colleagues (there’ll only be me left at this rate) in Oxford, we decided to go back to The Standard curry house in Walton Street as it’s a) great and b) got a beer menu. 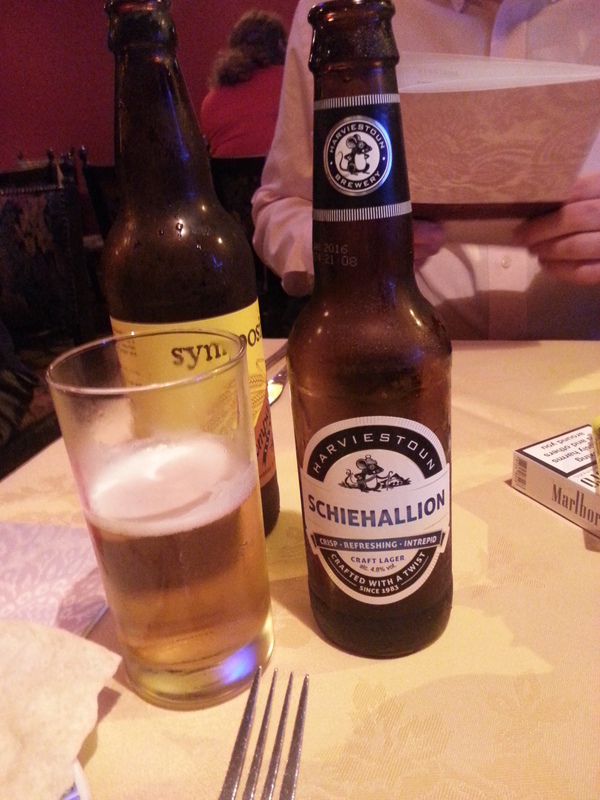 As I was driving much later on, I thought I’d go for a smaller bottle of beer and as it was a curry, why not try a Lager? I poured it into my glass, it was lightish lager-coloured with a crystal-sparkly white head. One sniff and the aroma instantly blew away all my old Lager-based fears: it smelt of something. 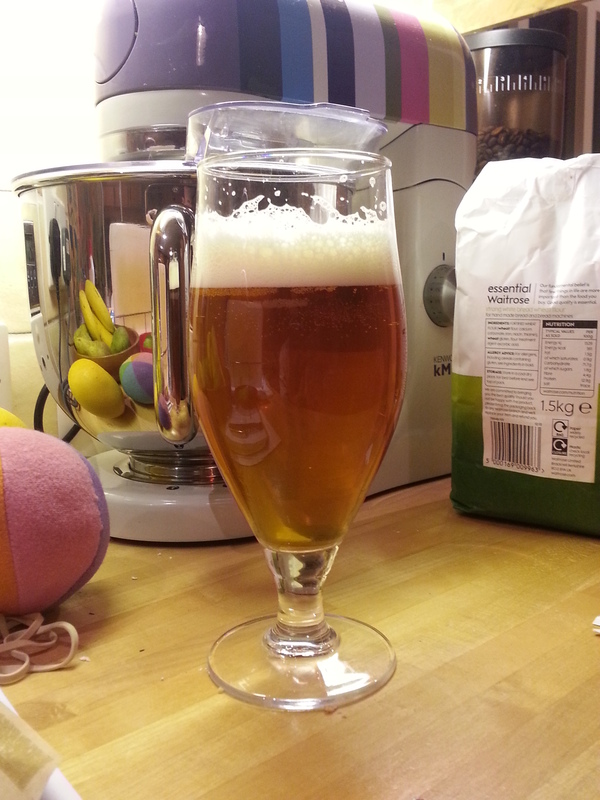 A nice something: clean fresh, with an alluring maltiness, some grains and a little slab of fresh ozoney hops. Enchanting. 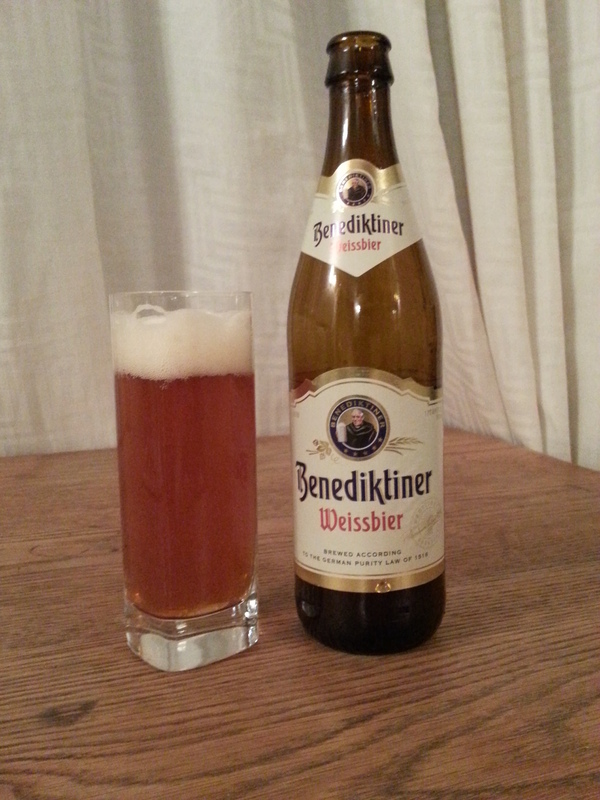 The taste was solid malt with a crisp freshness about it. The malts were definitely to the fore and the wheat added a delicious layer of luscious viscosity and creaminess. A spritzy, lively, clean hoppiness sat atop the whole thing and made it sparkle, pop and fizz. Lovely. I mean really lovely. Quite simply the best lager I’ve ever had. Period. After brewing up this (https://yeastismybitch.com/2014/10/02/home-brewed-fresh-hop-cascade-pale-ale-braumeister-version/) and using the entire hop harvest from my garden, plus another 100g of dried leaf hops, it’s finally ready to drink. From the keg this beer pours a really lovely autumnal sunny yellow, and is quite clear, too – even with the keg hops. The head is pure white, sticky, lacy and lasting – pretty much perfect. The aroma is solid hoppiness: piney, vegetal (it’s fresh hops, remember – they always make things taste a bit “green”) with a good dose of floral too. There’s hints of the resinous tumult to come, but it’s not the massive hoppiness in the aroma that I was hoping for; saying that of course – it’s way more hoppy than a lot of the beers I’ve eve made, so I really should be ecstatic. The mouth-feel is nigh-on perfect and makes for a great stage on which the other flavours play out: hops, funnily enough, are to the fore – piney resinous and a great big bunch of fresh cut meadow flowers. This beer is unmistakeably fresh-hopped and is all the more glorious for it. Towards the end of taste curve comes the bitterness that lays low the hops and allows the malt body to come through. A refined and refreshing dryness comes in at the very end and prompts the inevitable elbow-bend, sup and head-long charge through hop land again. Bloody hell. This is without doubt one of the best beers that I’ve ever made. All ingredients perfectly in proportion, there’s nothing that I wouldn’t change – especially the palm sugar addition – this allowed the extra gravity without leading to a massive malt-bill cloying sweetness. Additionally, the keg hopping allowed the extreme hoppiness to continue for longer than ordinary dry-hopping would. I can’t see how I wouldn’t be making this again next year when the hops are ready. Speaking of which there’s going to be a lot more hops grown in my neck of the woods next year, oh yes. Friends have already offered me use of their gardens and farms, etc. UPDATE: A week or so after writing this and the extreme hoppiness is starting to fade a little – it’s still a beautiful beer, but not as forcefully fresh and vibrant as it was. Moral of the story: drink hoppy beers quickly! Speaking of which, if you know me well, why not drop around and help me get through it while it’s still good? !